A Swiss Water popup in Los Angeles in 2016. File photo. Citing strong growth across the Atlantic, Canadian coffee trader and decaffeination processor Swiss Water Decaffeinated Coffee Inc. has announced the opening of a new European office, in Bordeaux, France. The office will be helmed by the company’s newly appointed vice president of trading in Europe, Emmanuel Dias, a longtime coffee trader who has held roles with COFCO International and Touton SA. It represents the company’s third office globally, joining the headquarters just east of Vancouver in Burnaby, B.C., and a Seattle office. 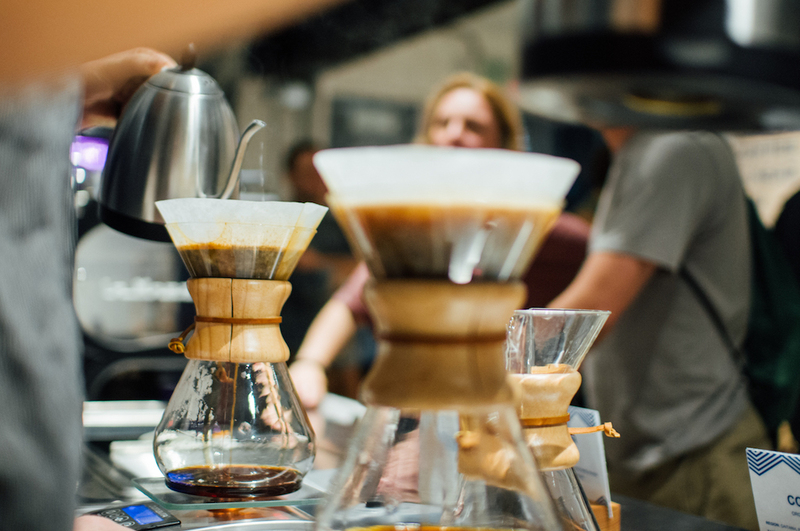 “Swiss Water sees the European coffee market currently outpacing the United States in decaf coffee consumption, while also boasting the highest per capita coffee consumption globally,” the company said in an announcement of the new office late last week. 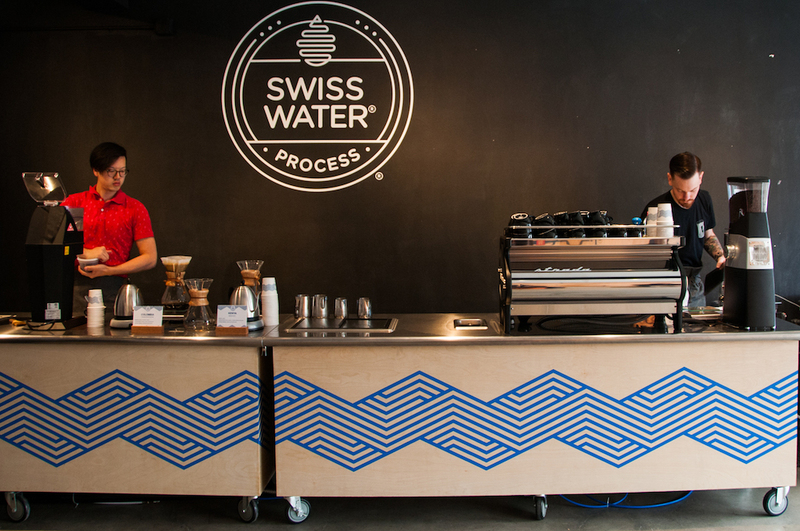 Swiss Water Decaffeinated is unique among coffee traders and sellers in that it is the only actively marketed brand related to the process of decaffeination. 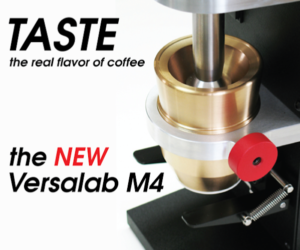 While many companies, from individual cafes to large roasters, may proudly present their decaf offerings, Swiss Water leans on the merits of is process, which involves using green coffee extracts for caffeine removal rather than the more traditional use of chemical solvents. File photo, courtesy of Swiss Water Decaffeinated. 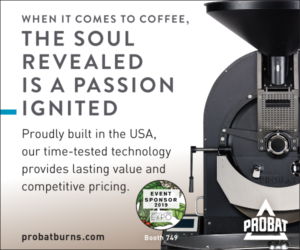 The company has been actively promoting its brand — while attempting to communicate the often overlooked value of decaffeinated coffee — through popups, other retail locations and sponsorships. 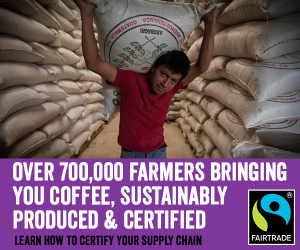 The company is also selling Swiss Water coffees that have been sourced, roasted and packaged by individual roasting companies. 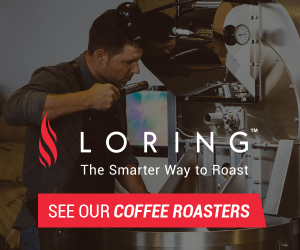 Involving specialty coffee roasting names such as Cafe Virtuoso, Joe Coffee Company, Onyx Coffee Lab, Manzanita Roasting Company, and Batdorf & Bronson, the platform allows Swiss Water to promote its brand and decaffeination process while facilitating sales direct to consumers. 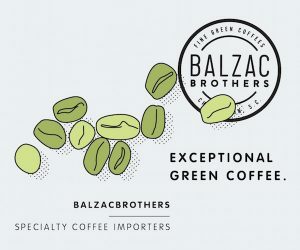 The company says it now sells green, decaffeinated coffees directly to roasters, importers or regional distributors in 56 countries globally.